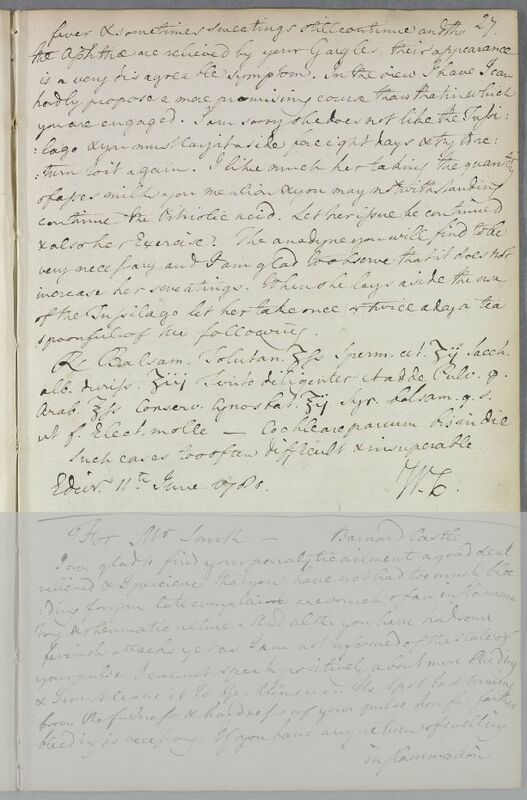 Reply 'For John Levec and Miss Brown'; Levec[k] has 'a considerable ulceration in the right ear affecting the bones', and Miss Brown's illness seems to be progressing. 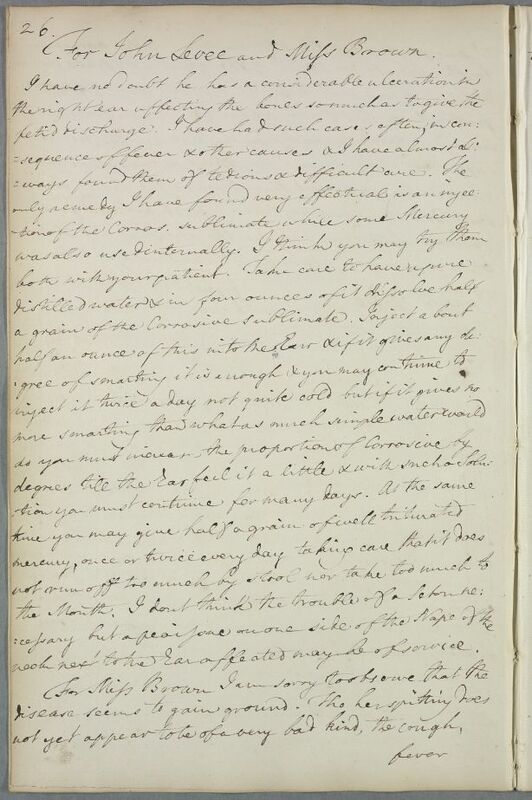 Summary Reply 'For John Levec and Miss Brown'; Levec[k] has 'a considerable ulceration in the right ear affecting the bones', and Miss Brown's illness seems to be progressing. Case of Master John Leveck, a fourteen-year-old youth who has been deaf since suffering from scarlet fever. Case of Miss Brown who has a very serious dry cough and other pulmonary symptoms which prove fatal. For John Levec and Miss Brown. neck next to the Ear affected may be of service. Such cases too often difficult and insupperable.